Radiation levels remain unchanged at Japan’s earthquake-stricken Fukushima-1 nuclear plant even after helicopters dropped tons of water onto the hardest-hit reactor. The focus of the crisis is shifting to the overheated pools storing spent fuel rods. The firefighting vehicles of Japan’s Self Defense Forces (SDF) have started watering the overheated damaged Unit 3 reactor using high-pressure water-cannons. 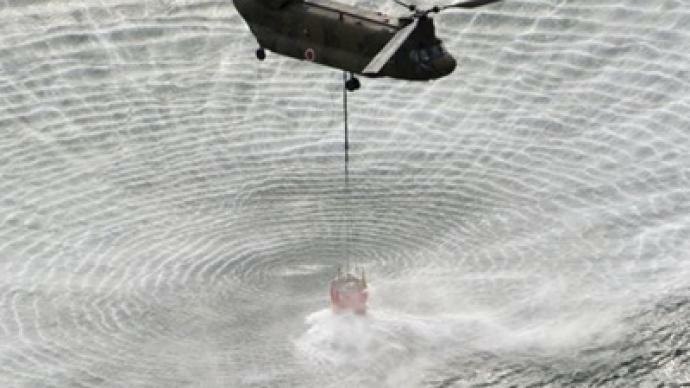 This comes after two SDF helicopters dumped seawater onto reactor 3 on Thursday morning in an attempt to cool down its overheating fuel pool, delivering 7.5 tons of water in four raids. No less than a hundred raids were required to produce the required effect, but due to the high radiation level of 87.7 millisievert per hour at an altitude of 300 feet the operation had to be aborted. The radiation level remained unchanged and showed 3 millisievert per hour around the plant’s roof, while safe exposure levels do not exceed 1 millisievert per year. The helicopters have resumed spraying water over reactor 3 later in the day. 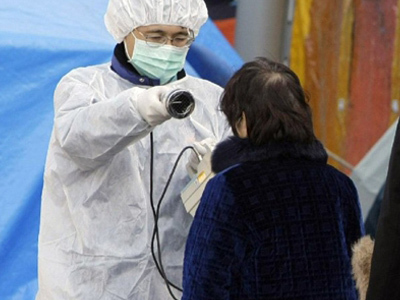 The operation has been on and off due to high radiation levels. Japan’s police force has also prepared to spray water with a water cannon truck through cracks in the walls and roofs. The first priority is pouring water into the pools storing spent fuel rods at reactors 3 and 4, according to Japan’s Nuclear and Industrial Safety Agency. The pools are located outside the steel containment vessels for enclosing toxic radioactive substances. The US military plans to dispatch a Global Hawk unmanned high-altitude reconnaissance aircraft on Thursday to take images of the inside of reactor 4’s premises, as reported by Japan’s Kyodo news agency. Tokyo Electric Power Company, the operator of Fukushima-1 nuclear plant, declared it was close to finishing a new power line to the plant on Thursday. The new power line would recover electric-powered pumps that send water to the reactor cores and pools, allowing the company to control the rising temperatures and pressure that have led to at least partial meltdowns in three reactors. 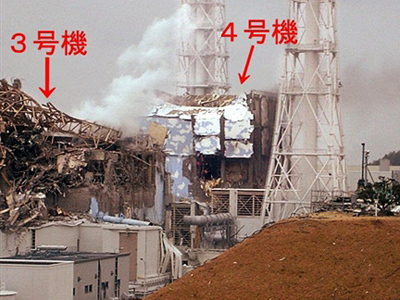 Apparent hydrogen blasts at reactors 1, 3 and 4 have destroyed the buildings housing the reactors. The containment vessel of reactor 2 has been damaged in its pressure-suppression chamber at the bottom. The cores of reactors 1, 2 and 3 are believed to have melted as they lost cooling functions in an ensuing tsunami, according to Kyodo news agency. The temperature at initially intact reactors 5 and 6 has risen to 60 degrees Celsius as opposed to the norm of 25 degrees. The water level in the fuel pool of reactor 5 has dropped, posing the risk of overheating, the Nuclear Safety Agency says. Over 70 per cent of the nuclear fuel rods have been damaged at reactor 1 and over 30 per cent at reactor 2, Tokyo Electric Power Company stated on Wednesday. The government has set the evacuation zone covering areas within a 20km radius of the plant, and urged people within 20-30km to stay indoors. Over 140,000 people have been evacuated from the area. 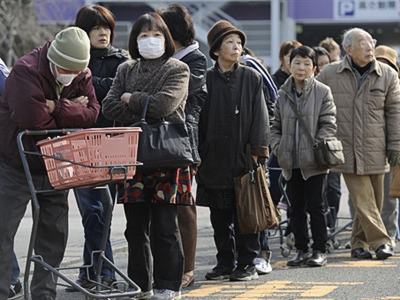 The total toll of dead and missing in Japan after Friday’s earthquake and tsunami has exceeded 14,000 people, over 5,000 of them dead. More than 315,000 people have sought refuge in about 2,300 shelters. Over 3,500 households were totally destroyed; some 7,000 buildings damaged. ­While the Japanese authorities are desperately battling with the overwhelming crisis at Fukushima-1, the response from the International Atomic Energy Agency, responsible for monitoring all cases of peaceful use of nuclear power, is coming at a very low speed. 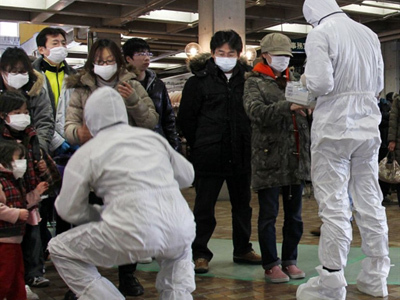 Amidst reports that radiation levels in the Japanese capital are up to 11 times the norm, people scramble to get away from the invisible killer. At the epicenter of Japan’s nuclear disaster only 50 people remain, struggling to keep the reactors under control. But where is the International Atomic Energy Agency, the exponents of the peaceful use of nuclear power? 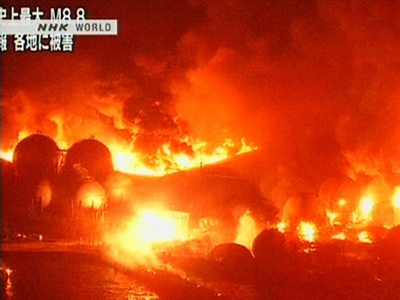 They are now in Japan, arriving four days after the first explosion at the nuclear plant. The very people who should be keeping tabs on the situation seem to have very little direct involvement in it. In fact, until now the only source of information was the Japanese government. For years the organization has been busy with their mission statement: to maintain nuclear energy for peaceful means. In 2005, amid increased inspections of Iranian facilities, the organization and its then-chairman, Mohamed El-Baradei, was awarded a Nobel peace prize. 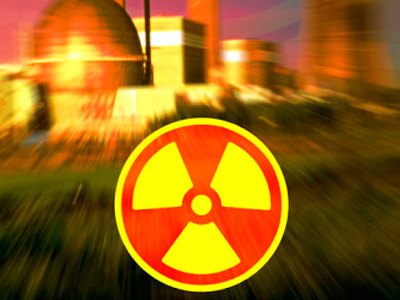 But by the looks of it, concerns over possible unsanctioned uses of nuclear energy by countries like Iran seem to have overshadowed the clear and present dangers of already-existing nuclear power plants in countries like Japan. And now it is the remaining workers who have to battle fire, smoke, and radiation at what remains of the Fukushima-1 power plant. “There are only 50 people allowed to the plant at the moment. They are working 15-minute shifts, which is very little. They have to work very many things by hand, because remote control installations have gone down. The main operator room is not usable because of high radiation levels. They work under extremely difficult circumstances, trying to prevent the worst from worst,” says Jan Haverkamp, a nuclear power expert from Greenpeace. With all six reactors showing signs of instability, just a handful of people remain face to face with the problem, putting their lives at risk. While the high and mighty authorities seem to prefer to watch from a safe distance. 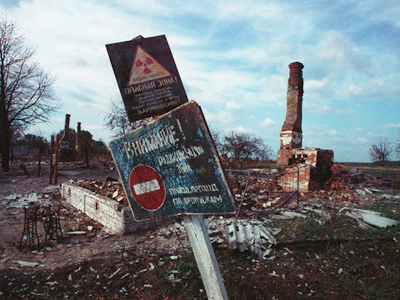 ­Journalist and author Afshin Rattansi, a former catastrophe risk analyst for a Lloyd’s of London syndicate, says the International Atomic Energy Agency has to be reformed. The statement released by the IAEA that the situation could possibly get worse has revealed the nuclear lobbying agency manipulation of media and civil society, Rattansi argues.